Lucid Motors, an electric car company, is going to be raising $1 billion from Saudi Arabia’s Public Investment Fund. This puts Lucid in a great position as the company has been struggling to raise funding over the past year. This news comes on the heels of Saudi Arabia buying 5% of Tesla Motors for nearly $2 billion. Tesla Motors CEO Elon Musk briefly had conversations with some of the fund managers to take the company private due to frustration with short sellers. One of the biggest reasons why the Saudi kingdom made an investment in Lucid Motors and Tesla Motors is because they have set up a Vision 2030 plan. The Saudi kingdom’s Vision 2030 plan aims to diversify the country’s dependence on fossil fuels. Investments in this plan include electric vehicle companies, environmental programs, and energy efficient services. Lucid Motors’ parent company Atieva did not have enough money to start producing the vehicle. Atieva was able to locate a site in Arizona to build a $700 million factory, but it had a hard time raising the funding until now. Interestingly, Ford was reportedly considering buying out Lucid a year ago. This funding will finance the engineering development and testing of its Lucid Air vehicle. 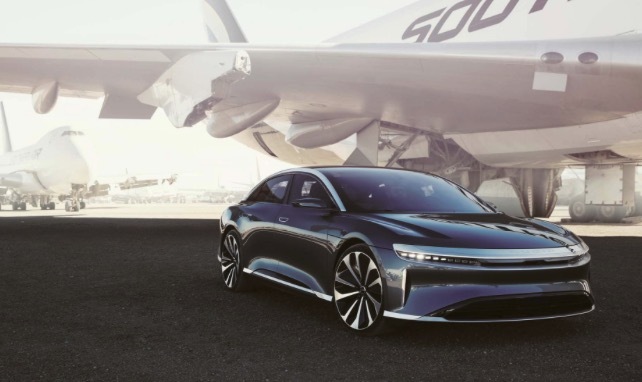 Lucid is aiming for a 2020 commercial launch of the Lucid Air. And Lucid will use the funding to build a factory in Casa Grande, Arizona. Plus Lucid is looking to roll out a retail strategy starting in North America. “The convergence of new technologies is reshaping the automobile, but the benefits have yet to be truly realized,” said Lucid chief technology officer Peter Rawlinson via The Verge. “This is inhibiting the pace at which sustainable mobility and energy are adopted. At Lucid, we will demonstrate the full potential of the electric connected vehicle in order to push the industry forward.” Rawlinson is a former executive at Tesla Motors. Lucid Motors first showcased the Lucid Air at the Los Angeles Auto Show in 2016. And a prototype was also showcased at CES in 2017. The estimated price of the Lucid Air will be $60,000.